Defending Cambodia's Ocean Since 2008 Join our team today "The world will not be destroyed by those who do evil, but by those who watch them without doing anything." 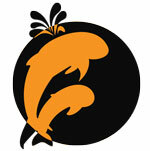 Researching Cambodia's Ocean Since 2008 Join our team today "The best way to observe a fish is to become a fish." CambodianDolphinProject Find Out More "Cultures have long heard wisdom in non-human voices: Apollo, god of music, medicine and knowledge, came to Delphi in the form of a dolphin. But dolphins, which fill the oceans with blipping and chirping, and whales, which mew and caw in ultramarine jazz - a true rhapsody in blue - are hunted to the edge of silence." CambodianSeahorseResearch Find Out More "We need to respect the oceans and take care of them as if our lives depended on it. Because they do." 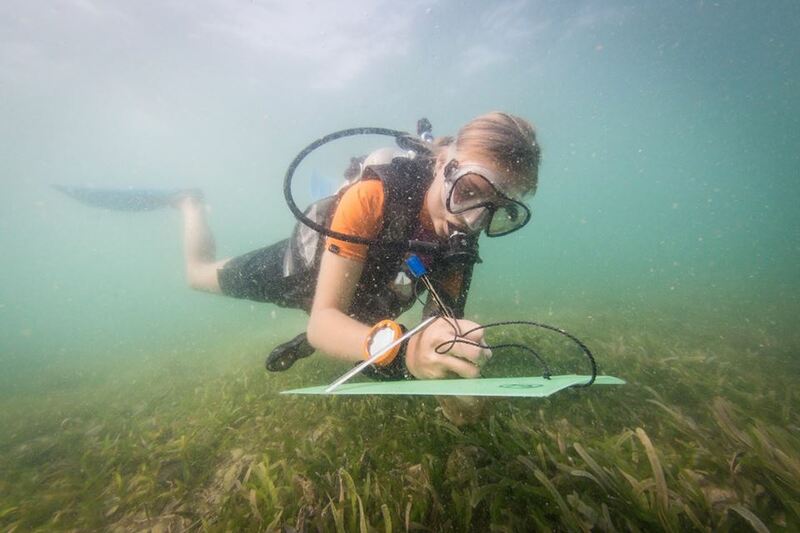 Seahorse,Seagrass,Coral Reefs You will have the chance to be trained by our experienced and professional marine surveyors, once fully trained you will be able to participate in our 2019 surveys. All data goes towards assisting in management and policy changes that directly benefit the marine environments around Kep Achipelago. Discover our latest project MCC is running Cambodia's first long term Marine Mammal Monitoring Program and is currently focused on collecting abundance, distribution and residency data of Irrawaddy dolphins to assist in the protection of thier critical habitats within Kep Archipelago. These dolphins are under severe pressure from destructive fishing and habitat loss. From Ground to Policy 2018 have seen Kep MFMA Officialisation. Following the Signing of this Cambodian MPA, 2019 will be focusing on the restoration of the severly damaged marine environment around the Archipelago, creating artificial habitats and protecting the recovering ecosystem from Illegal and destructive fishing techniques. Another international status to recognize Kep Archipelago unique ecosystem! Marine Conservation Cambodia is very proud to announce the launch of the First Cambodia's Hope Spot, Kep Archipelago! Hope Spots are special places that are critical to the health of the ocean, Earth’s blue heart. Hope Spots are about recognizing, empowering and supporting individuals and communities around the world in their efforts to protect the ocean. Kep Archipelago designated as an IMMA! The Kep Archipelago has been officially designated as an Important Marine Mammal Area (IMMA), by the IUCN Marine Mammal Protected Area Taskforce! In September 2017, Marine Conservation Cambodia launched the Cambodian Marine Mammal Conservation Project (CMMCP), the first long-term marine mammal research program in the coastal waters of Kep province, Cambodia. 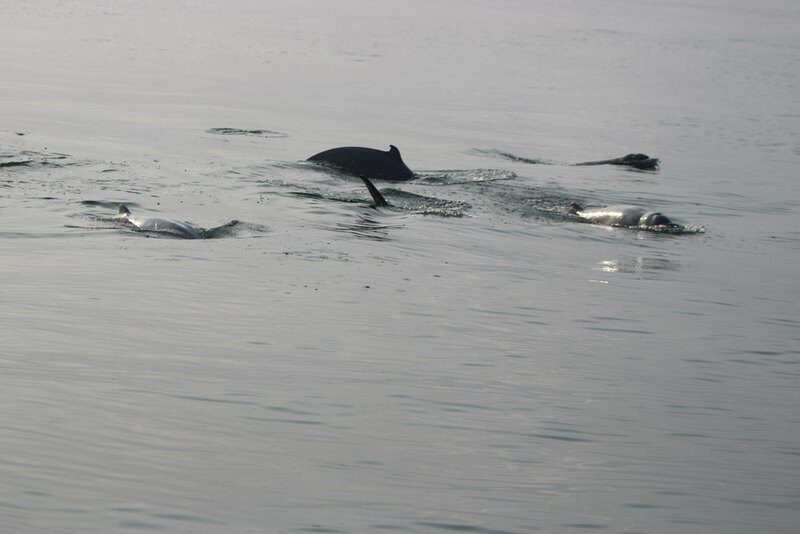 CMMCP aims to support the conservation of Kep’s marine Mammals, the main focus of the first year was researching the Irrawaddy dolphins through collecting missing baseline data that can be used to create tailored dolphin conservation legislation in the Kep region. This report details activities, findings and successes of CMMCP’s first twelve months in the field, ending with a presentation of tailored conservation suggestions for the Kep region. We would like to thank the Fisheries Administration of the Royal Government of Cambodia for all their support throughout. Much appreciation also goes to The International Conservation Fund of Canada, The Heinrich Böll Foundation and Chelonia Ltd for their economic support/equipment donation. Great short video clip from the beginning of the Dutch, Helden van de Wildernis (Hero in the wild) Documentary covering the work of MCC and MCC's founder Paul Ferber, created by Warner Brothers Netherlands. Here is a link to the full documentary Helden van de Wildernis, Cambodia. We are Very happy to have finally completed the 2017 Marine Assessments of Koh Seh, Koh Man Prang and Koh Angkrong. With Koh Seh and Koh Angkrong now being Conservation Areas within the new MFMA, we hope that next years assessments will continue to show a recovery of the areas, Koh Man Prang should also show some improvement as this area will be classed as a tourism zone, which does not allow fishing activities. The Koh Seh report is an interesting read and shows well the improvements that can be made with good marine protection and a pro-active approach to conservation. Wonderful short video from our amazing Liger Marine Research Team students. We truly believe that it will be the young generations of Cambodia that will take up the fight to protect their marine environments, this short video shows the dedication and passion of our first young Khmer students. MCC is happy to announce a new partnership with the Waitt Foundation! 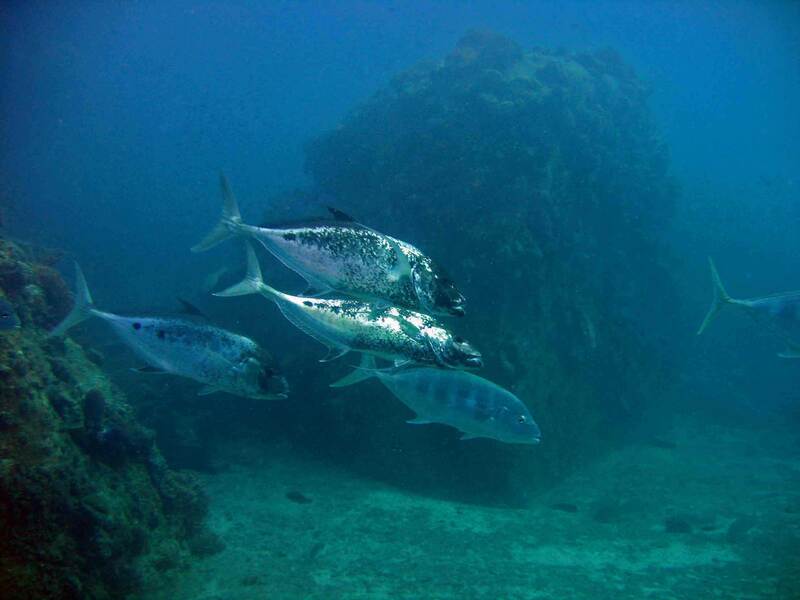 Like the National Geographic Society, they will support our work towards the deployment of our artificial reef project! This is a short but informative Interview by the BBC World Service, with Paul Ferber, Founder and Director of MCC. Here are two links 2 shows on french TV. The first one was shot in 2018, and shortly explains our seahorse survey techniques, as well as the island life. The second one, shot in 2017, is focusing on Paul and his family, with beautiful shots of Koh Seh. An article called "Building a refuge where trawlers now ravage Cambodia’s marine life. ", written by Matt Bloomberg. This in depth article explains the MFMA project in Kep, going through the reasons of its creation, with a particular focus on seagrass. Find our Projects and project founder featured in The UK's Daily Telegraph National Newspaper. It was written in 2015, and explained how and why Paul started Marine Conservation Cambodia! Click on the link below to discover more! This Article is about our work saving Cambodia's Marine life, focusing especially on our work with Seahorses. The Link is to the article published by the Associated Press, then taken up by over 200 other major news outlets around the world, probably the most widely publicized article on our work to date. 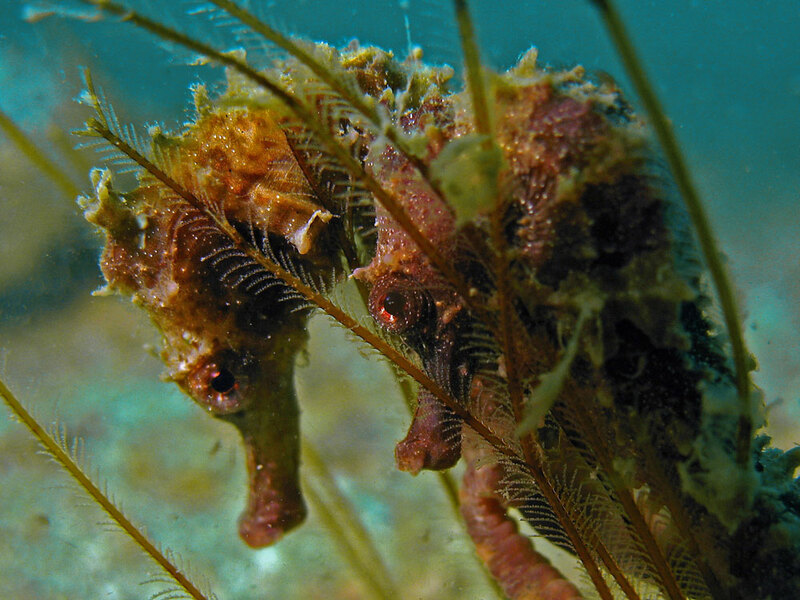 Our Seahorse and Marine research programs, in collaboration with Project Seahorse Researchers was recently featured on the Project Seahorse Website. You have found us!! Thank you for your passion and interest in Marine Conservation and Marine Research in Cambodia. Welcome to our Volunteer Marine Conservation Project and welcome to our website, we hope that whilst looking through our site you will begin to see our vision of marine conservation and marine research here in Cambodia and the dedication, passion and responsibility we have to conserve and protect the areas we have been entrusted with. At Marine Conservation Cambodia we work continuously throughout the year on the conservation, research and restoration of Cambodia's marine resources with a special focus on the marine environments and marine issues in Kep Province. Our permenant dedicated conservation and research team is out on the water daily, monitoring, researching and protecting the health of the reefs, seagrass beds and other sensitive marine habitats all with the purpose of conserving the Ocean we have fallen in love with..
Once you join our team you will find we are not your average volunteer project, with or without volunteers our team and our project makes a continuous positive impact, we have a very passionate team that has given up their everyday lives to dedicate their time to protecting Cambodia's marine resources, we really are just a big family. At MCC we offer a volunteer marine conservation experience like no other organization can. Being that we are a small grass roots family run organisation it allows us more flexibility in what we can offer to our volunteers and interns. We are not an International NGO or large worldwide charity, but a small local registered NGO right here in Cambodia. Many of the large voluntourism organizations and NGO’s are bound by extremely tight rules and regulations, which hinder many activities that a volunteer or intern can participate in. Here at Marine Conservation Cambodia we are not bound by these tight restrictions allowing our volunteers a once in a lifetime opportunity and ultimately the freedom to be involved in all aspects of a real marine conservation and marine research project. We can prepare you for active in-field marine research, our training schedules allow our volunteers the opportunity to learn standard and specific reef and Seagrass monitoring methodologies, including detailed knowledge of substrates (including Coral and Seagrass species), invertebrates and fish (including In depth Seahorse identification), and of course become involved in our ground breaking seahorse research or participate in our new Marine Mammal project. Once you have completed your initial training you will become fully immersed in our monthly research schedule and are able to participate in daily scientific marine survey dives collecting important data that helps us monitor not only the changes happening within our newly created MFMA (marine fisheries management area) and the small MPA's (marine protected areas) within it, but also gathering crucial data on Cambodia's seahorse and dolphin populations. We also organise regular meetings with local fishing communities to collect information regarding their thoughts and needs regarding the status of their fishing grounds. Our team specialises in Seahorse research as it was Seahorses, or rather the threats to them that initially started what is now MCC, our new project on marine mammals is quickly becoming as loved as our seahorse work and we hope it will be the basis of a full monitoring program that will benefit all of Cambodia's marine mammals. As our conservation organization as progressed, we are also now very much involved in marine management/resource planning, with a lot of our time dedicated to the creation of Marine Fisheries Management areas, and the respective management of those areas. Our other main area of expertise is IUU (Illegal, Unregulated and Unreported Fishing) with our director sitting as co-chair on the Fisheries National Sub-commitee for IUU and MCC recently completing a country wide IUU hotspot report for the EU, our work on IUU is making a direct impact on tackling many problems that affect to Cambodia's coastal fisheries. We are not some standardised conservation holiday, we use your time, energy and money to protect Cambodia's and specifically Kep's marine environment, once trained the data you collect and the reports you will be involved in preparing, are used by both national and provincial authorities to plan, manage and protect Cambodia's marine habitats and resources. Our last Conservation Zoning proposal which was completed in 2016 by our research team and our long staying volunteers has led to the creation of Cambodia's second Marine Fisheries Management area and created an extended conservation area around our base on Koh Seh Island, that report can be found here. Want to do more for marine conservation then just collect data? So do we! And we do! You can also join us on our privately owned boats to actively patrol our MPA and actually stop illegal/destructive fishing! Yes that is correct. Marine Conservation Cambodia volunteers are allowed to join our observational patrol teams supporting us while we actively stop illegal boats within our protected area, confiscate illegal fishing equipment, and force the illegal and destructive fishers to dump their catches back into the ocean. You can also get involved in our artificial shellfish reef/anti trawling devices and underwater landscaping projects and for those that are interested begin to learn about the issues, difficulties and solutions to engaging in marine conservation in a newly developing country such as Cambodia. Do you already have a specific conservation, marine science or related area that you are studying or looking to study? Are you looking for a hands on academic internship? At MCC we are passionate about education on marine/coastal conservation and research, we want you to not only contribute to our project, but to feel that you have also increased your own potential, increased your own abilities and developed your potential career whilst volunteering with us. Our conservation and research team is there to facilitate your learning experience and make sure you get exactly what you need from your stay with us wether its your passion to conserve the ocean or your need to fulfil university course requirements. Volunteers are also encouraged to bring their own ideas with them. From, ICM (integrated coastal management) to aquaculture projects to new scientific techniques MCC welcomes your idea! Current Volunteer and Internship Research and Conservation Projects. Potential Volunteer and Internship Research and Conservation Projects. If you want to know more please look over our website and please feel free to email us with any questions. For those interested in Academic Internships please find our Application Form Here. Thanks again from the team at Marine Conservation Cambodia. First heard about MCC, on the island of Koh Seh, from Maria my daughter who visited 4 years ago. We came here together for a week in early Feb 2019. Me to avoid the UK winter her to take a break from working in HCMC. Are you ready to read the latest exciting news from MCC? One month ago, one of our volunteers, Doug left our island after volunteering with us for one month. He really loved it, and created a picture album about his stay. On each picture, you'll find a small description of what happened while he was taking the picture. He actually did that for his entire month, and try to communicate what was happening here in his own way. Just below, you'll find the link of his album. The most wonderful people in the world. The Most inspiring students we've ever met. MCC and the RGC Ministry of Tourism are collaborating in the framework of Kep MFMA implementation. MCC is one of the winners of the Worldwide Marine Protection Prize by National Geographic Society. 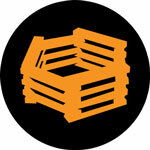 HBS is a recent MCC partner. They will help support our work for 2018.